Are Doctors Too Reluctant to Prescribe Opioids? The FDA and Painkillers: What's Safe Now? Pain is one of the most common reasons that people end up in the doctor's office. And yet, until 1983, the field of pain management did not have its own medical society; today, the specialty still isn't widely taught in medical schools. For centuries, doctors even debated whether eliminating pain was morally acceptable: would it, for instance, defeat God's purpose in condemning Eve's daughters to suffer in childbirth? Decisions about a patient's pain treatment are now made much more collaboratively, but even in modern times, the process is fraught with moral judgment, stemming largely from the nature of available pain treatments and an incomplete understanding of how to use them. Patients who ask for more pain drugs are eyed as potential addicts; doctors who prescribe pain medications too frequently fear being arrested for it. But with about 10% to 15% of Americans, mostly middle-aged or older, suffering from chronic pain severe enough to interfere with daily life, figuring out which pain medications work best  and which are safest  is of crucial interest. That's why researchers have recently been taking a closer look at the class of drugs called opioids, which includes codeine, morphine and methadone  medicine's oldest and most powerful pain medications. 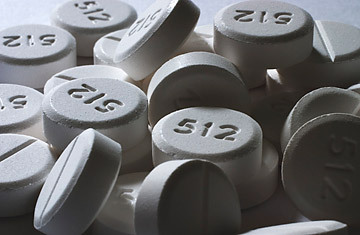 Although opioids are extremely valuable painkillers, particularly for patients at the end of life, drugs like Oxycontin (oxycodone) and Vicodin (hydrocodone and acetaminophen) are unfortunately better known for being addictive. While new studies have sharpened the understanding of how opioids work, and clarified their harms, the general question of safety remains complicated. Differences in the age and health of patients, their history of substance misuse, the nature of the pain and patients' sensitivity to certain drugs mean that a miracle drug for one person may be harmful to another. Psychiatrists are careful to distinguish between addiction and dependence. The latter occurs in almost all people who take opioids long-term; over time, they develop a tolerance to the drug, and suffer withdrawal if the drug is abruptly stopped. The point is, they are able to stop taking it eventually. Addiction, however, is defined as the compulsive use of a substance in spite of negative consequences: addicted patients whose pain symptoms have been resolved still can't quit taking the drug. Although opioids have a reputation for being instantly addictive, studies find that the average patient does not enjoy the feeling of being on the drug; even among recreational users, most who try it don't get hooked. Patients who are prone to addiction are typically those who have histories of emotional trauma, mental illness or prior substance misuse. In a review published in the Jan. 20 issue of the Cochrane Database of Systematic Reviews, a leading evidence-based-medicine journal, researchers found that only one-third of 1% of chronic-pain patients without a history of substance problems became addicted to opioids during treatment. The review included 4,893 mostly middle-aged chronic-pain patients, who were treated with opioids for between six months and four years. "This suggests that people who do not have a history of drug abuse or addiction are not highly like to develop [addiction] under physician care," says Meredith Noble, lead author of the review and senior research analyst at the ECRI Institute, a health care research and consulting group near Philadelphia. Dr. Nora Volkow, director of the National Institute on Drug Abuse, takes a more sober view of the findings, pointing out that 18 of the 26 studies in Noble's review failed to mention addiction. The review authors say they assumed the omissions meant that those studies did not find any cases of addiction, but Volkow says it could mean that they simply didn't look for it. Still, Volkow does not deny that age and prior addiction are key risk factors for drug problems; addiction is primarily a disorder of youth. Based on this review and other research involving middle-aged or older people screened for pre-existing drug problems, Volkow says, "Under those conditions, you can say that the risk [of addiction] is less than 3% [in people with no history of drug abuse]." In some cases, however, undertreated pain may contribute to a situation that looks like addiction; patients ask for higher and higher doses and appear to be drug-seeking, when in fact they are looking for effective pain relief. See how eating less might help you live longer. See the costs of living a long life.